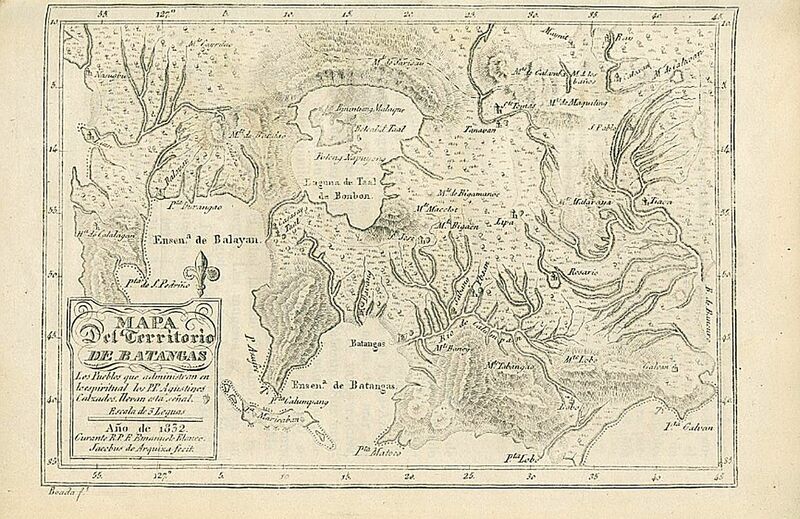 An 1852 Augustinian map of Batangas Province. 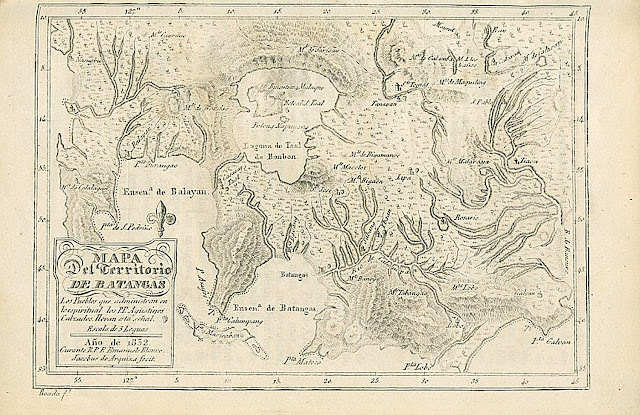 Above is a map of Batangas showing the pueblos or towns of Batangas that were administered – in a spiritual sense – by the Augustinian order. The map was created in the year 1852. The map is extracted from the 1845 publication entitled “Mapa General de las Almas Que Administran los PP. Augustinos Calzados en Estas Islas Filipinas” (General Map of Souls Administered by the Shod Augustinian Priests in the Philippine Islands). The term “calzados,” i.e. shod or wearing shoes, was used in most likelihood to distinguish this Augustinian order from a mendicant order of the same name that was also present in the Philippines during the Spanish era, the “descalzados,” i.e. unshod or barefoot.